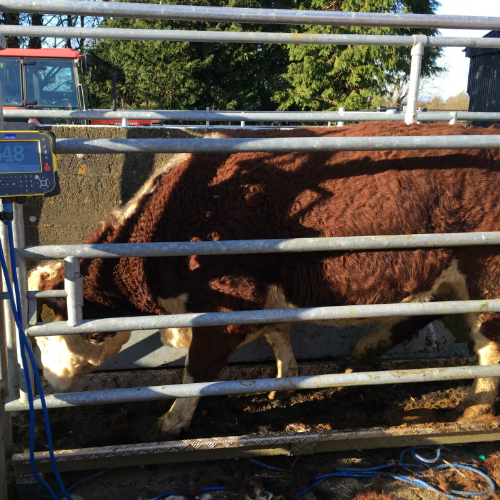 Tru-Test weighing & EID equipment has been available in Ireland from O’Donovan Engineering for over 25 years and is very much favoured by most Breeding Societies, Farm Advisory Services and a wide range of Dairy, Beef & Sheep Farmers. There are a wide range of systems available from the entry level economic units to the top of the range systems which act as a farm management tool allowing you to make decisions quickly and effectively. O’Donovan Engineering wants to ensure that we satisfy our customers’ needs and live up to their expectations, it was feedback from our customers that has made us invest in our servicing department to ensure there will be a shorter turn-around in servicing weighing equipment. If you run into trouble with your scales or have any questions regarding weighing, feel free to give the service department a ring on 021 7334066. If you call our servicing department and book your weighing equipment in for a service, we can now service it while you wait or you can drop and collect your weighing equipment on the same day. Ensure you have made a booking to avoid disappointment or a long wait. If you are not within driving distance of O’ Donovan Engineering not to worry, once you feel your weighing equipment needs a service contact us and we will send a courier to pick up your weighing equipment from your home. Once it is delivered to us we are now guaranteeing a 5 working day turn around to ensure you will be back weighing your livestock at the soonest possible date. Tru-test weighing equipment does not need to be re-calibrated or have any set service time. However, if a component gets damaged, it is very important to return it to O’Donovan Engineering for service. As an added bonus we offer a 6 month warranty on all repairs. On its own, weighing is a valuable addition to any farmers operation. However, with the emergence of electronic identification (EID), an opportunity exists to maximise the potential of the weigh data collected. Ensure livestock are sold at optimum weight grade.